A crime thriller, The Town combines high intensity action with a thoughtful exposition of characters and place. The blue collar Boston neighbourhood of Charlestown is known as home to career criminals, with crime legacies passed on from fathers to sons. 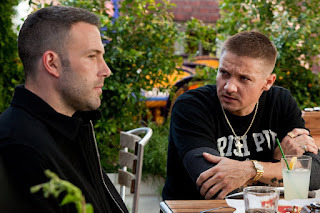 The cerebral Doug (Ben Affleck) and the more impulsive Jem (Jeremy Renner) are best friends and second generation bank and armored car robbers, leading a gang that acts on orders issued by mastermind "The Florist" (Pete Postlethwaite). Doug's father Stephen (Chris Cooper) is serving life in prison, while Jem served nine years for murder. Doug maintains a choppy sexual relationship with troubled neighbourhood girl Kris (Blake Lively). 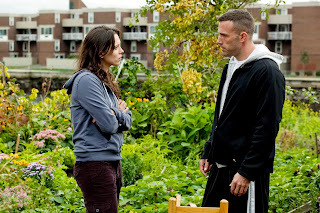 The gang successfully robs a bank, but briefly seize manager Claire Keesey (Rebecca Hall) as a hostage. They are dismayed to later discover she lives near the neighbourhood and may be able to identify them. Doug gets close to Claire to determine whether she is cooperating with the FBI. They fall in love, complicating his relationship with the rest of the gang members and triggering a burning desire for him to leave crime behind. Meanwhile, Jem begins to exhibit more violent tendencies while FBI Special Agent Adam Frawley (Jon Hamm) starts to close in. Directed and co-written by Affleck, The Town is an adaptation of the Chuck Hogan book Prince Of Thieves. The film is an expertly constructed and executed character-driven crime thriller. Delving deep into the neighbourhood community, Affleck creates a sense of place where the roots below the surface are thick and deeply intertwined, uncompromising fortitude is embraced as a badge of honour, debts are owed across generations, fathers throw long shadows across their sons' lives, and crime is a family profession like any other. In classic fashion Affleck places his three action set-pieces at the beginning, middle and end of the movie. The heists scenes fluently capture the thrills, mishaps, and on-the-fly improvisation demanded by high-stakes armed robbery, the rational editing and thoughtful camerawork dramatically enhancing the action. Even more impressive is the focus on people. 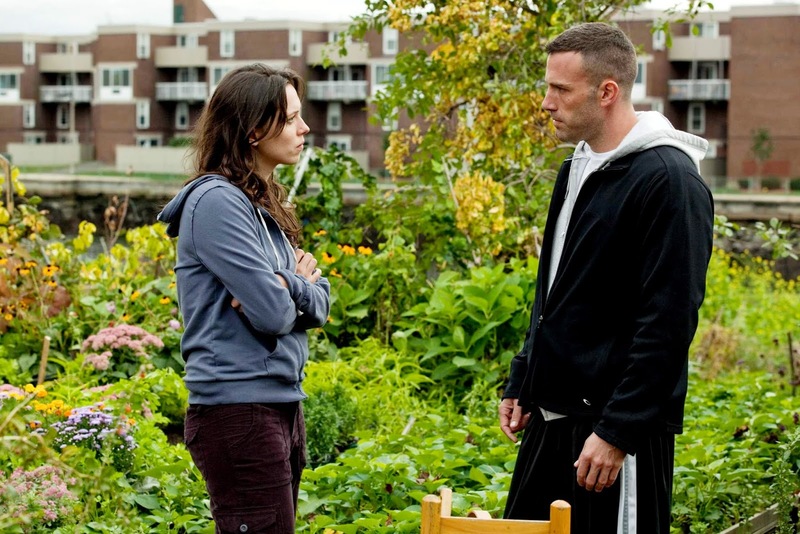 Affleck pulls the covers back on a social structure functioning within a set of unwritten codes. While Doug, Jem, Kris and their colleagues will never generate sympathy, Affleck does create understanding for men and women who only know what they know. Doug falling in love with outsider Claire and wanting out disrupts the natural order, and sets off a disruptive and naturally violent chain reaction. The romance between Doug and Claire has to exist as the catalyst for change, but is perhaps the least convincing aspect of the film. Although it is conceivable for Doug to fall for the girl from the right side of the tracks and imagine her as an escape route to a better life, it is more of a stretch to believe what she sees in him, despite his engineered meet-sad-cute laundromat moment. The cast is deep in talent and enriches every role. Small turns by Pete Postlethwaite, Chris Cooper and Blake Lively are delivered with chilling conviction, while the more prominent performances by Affleck and Renner exude the requisite grit. Forceful and absorbing, The Town crackles with coiled and sometimes explosive energy. What an excellent film, this is. It helps me stick to my guns on my theory that Ben Affleck is a far better director than he is an actor. In terms of acting, I find some roles suit Affleck well and he just clicks, and in other roles he just falls flat. As for The Town, I think it's right up there with Heat among the best more modern crime thrillers.